In line with the Lagos state government recent directives to PSP Operators to return to their various areas of operations, the Executive Chairman Ojokoro LCDA Hon Hammed Idowu Tijani today, 26th October 2018 addressed PSP Operators and stakeholders in an interactive session. 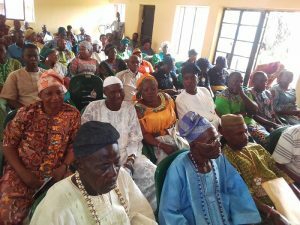 The meeting which was to tackle the appalling state of waste disposal in Lagos State was held at the Ojokoro council Secretariat with all the major stakeholders present. Addressing the guests, the Executive Chairman, Hon. 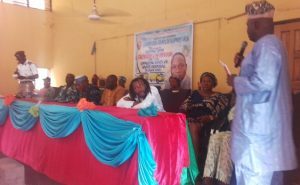 HID Tijani said the issue of environmental hygiene cannot be over emphasized as dirty environment can lead to several deadly diseases. He said “cleanliness is next to godliness” and to that effect the responsibility of environmental hygiene is everyone’s task. 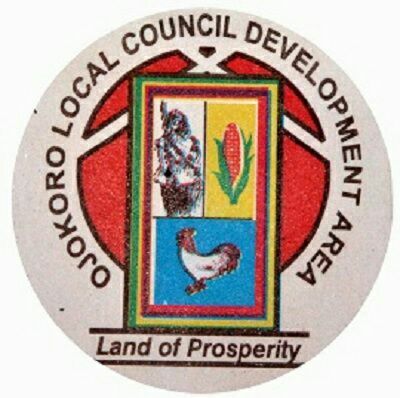 The Executive Chairman of Ojokoro LCDA, Hon. 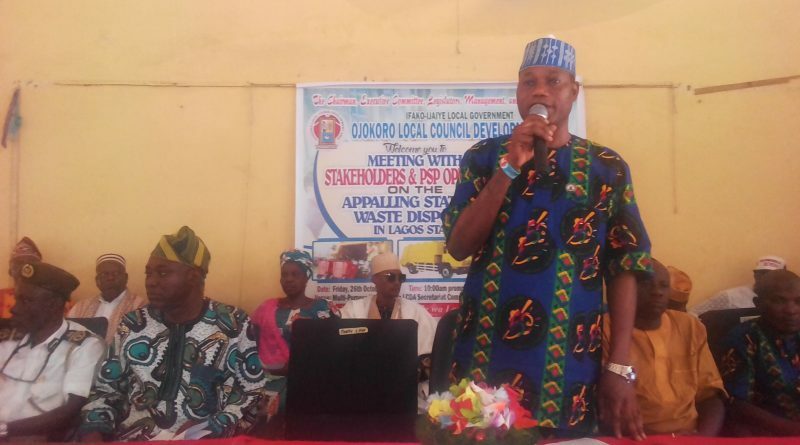 Hammed Idowu Tijani (HID) addressing the PSP Operators and Stakeholders at the meeting. 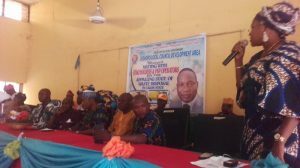 He therefore urged residents to desist from indiscriminate waste disposal to avert epidemic. Hon. 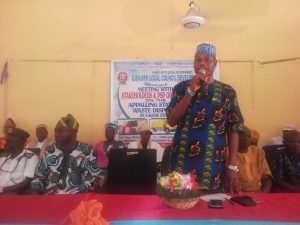 Tijani advised the PSP Operators to set aside any misgiving and double their efforts to clear the backlog of Waste within the LCDA. 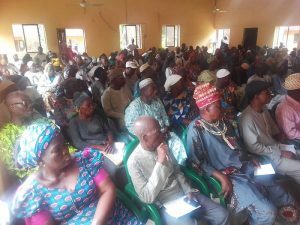 Stakeholders who took turns to speak appealed to the PSP operators to be more committed in their Service delivery and assured them of utmost cooperation by paying diligently. 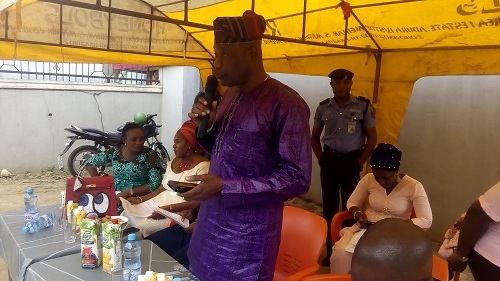 Speaking on behalf of the PSP Operators, Mr Afolabi thanked Lagos State Government and the Executive Chairman Ojokoro LCDA for the opportunity of recalling the PSP Operators to serve Lagos residents, while appealing to general public for their cooperation for effective service delivery. 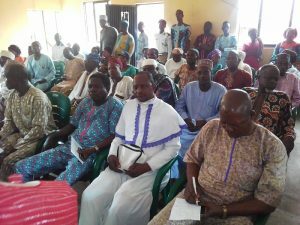 In attendance at the crucial meeting were the PSP Operators, CDC Executives, Market leaders, community leaders (Baales), religious leaders and other stakeholders. 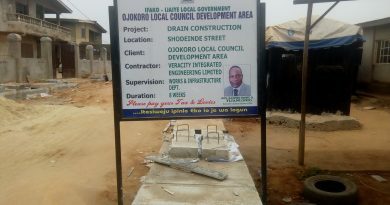 The Supervisor for Environment, Hon. Florence Lawal giving the vote of thanks. I’m amazed, I have to admit. Seldom do I encounter a blog that’s both educative and entertaining, and let me tell you, you have hit the nail on the head. The problem is something that not enough folks are speaking intelligently about. I am very happy I came across this during my hunt for something regarding this.